Pegasus Profiles in-house Lumsden plough grinding machines enable us to grind components that require heavy stock removal to tight tolerances. 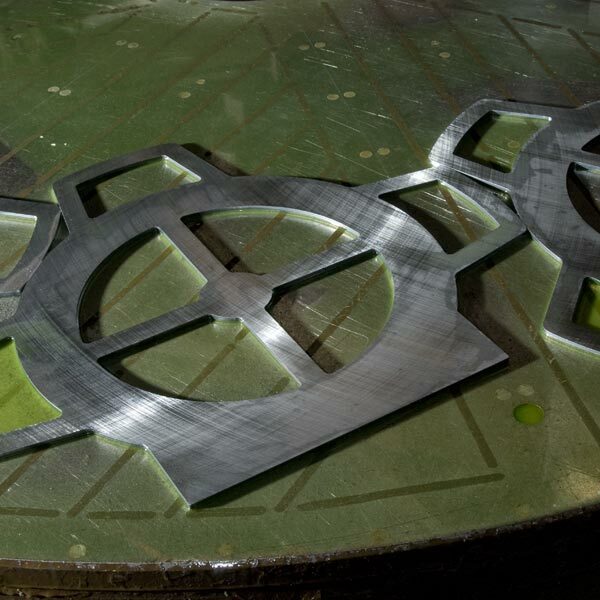 By using some of the largest grinders in Europe, we offer a cost effective method of machining the surface area of plate to give a clean, bright finish, free from witness marks. We grind plates to clean up one face, two faces or grind to a specific thickness. We can cut profiles to the required size and shape prior to grinding or can grind your own profiles on a free issue basis. We offer our general grinding tolerance of +/- 0.25mm, but please call our sales office with your specific requirements.